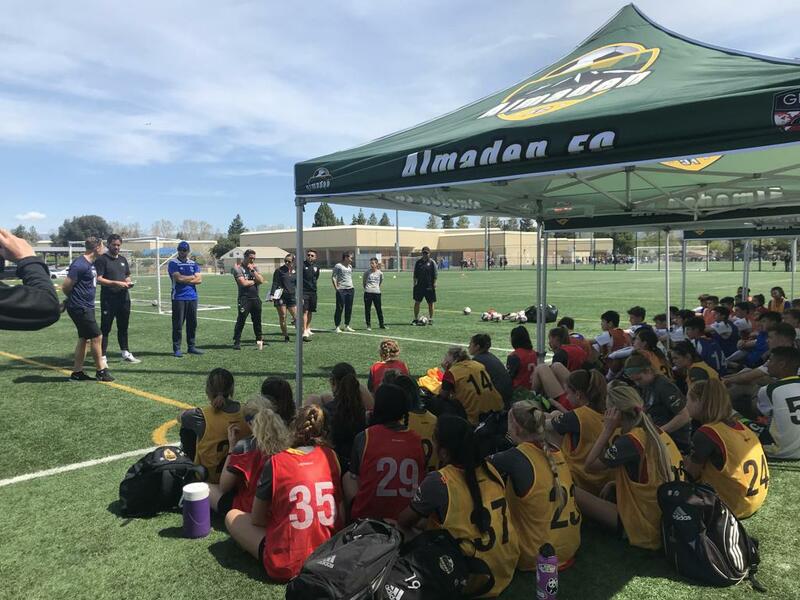 Just a few lines to congratulate all involved in the first ever Almaden FC College ID camp on Sunday April 7th, 2019 at O’Malley field. There were boys and girls from mainly AFC teams in the age range from 01/02/03/04 brackets. On the day attending to the practices were 10 college coaches in attendance, from varying college levels and different coaching positions ranging from Head college coach to assistant coach. This event was, in my opinion, the most important event of my time here as TD for Almaden FC. It is an indication to all AFC parents/Players that AFC is clearly committed to developing relationships with Colleges/Coaches, to enhance all our players chances of getting exposure to college coaches and further strengthen their opportunities to get to College. It has taken 2 years to get to this point and we are already making new relationships with other colleges, I have had tremendous support along the way from Simon Tobin, Shane Carew, Emily Scheese, Manuel Montero, Gordon Mackintosh,Patrick Stine, Kelly Johnson Matt Bambrick and also our Breakers Academy affiliation Head Coach, Paolo Carbone who has also given AFC players the opportunity to play Academy level Soccer, and I thank him for this as it shows everyone the very clear pathway to College I have created with all their help, now at AFC we start with Rec/Comp/GPS/Bayern/ Breakers Academy/College, so we have a real live pathway to College that will be further developed as we go forward. We are grateful to all of these fantastic college coaches for taking the time to share their knowledge and experiences with our players. This program was free to AFC competitive players and we hope that our players that attended have a better understanding of what they need to improve on in order to become successful collegiate athletes in the future.